J.T. 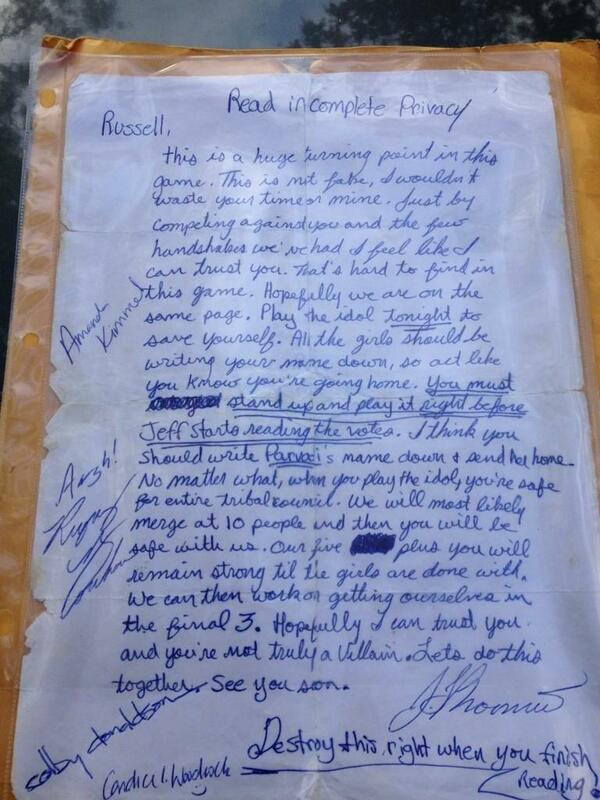 's Note to Russell Hantz signed by all the heroes in Survivor Heroes vs Villains. Thanks to Russell Hantz for tweeting it!